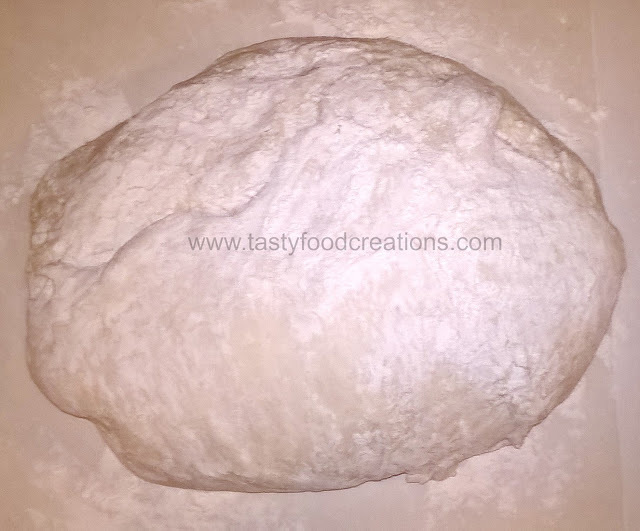 In the bowl of a stand mixer, add water, yeast and sugar and let it stand for a few minutes to proof. 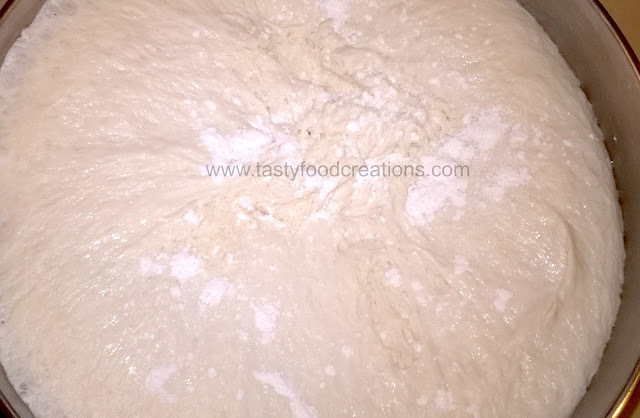 After few minutes add flour and salt. 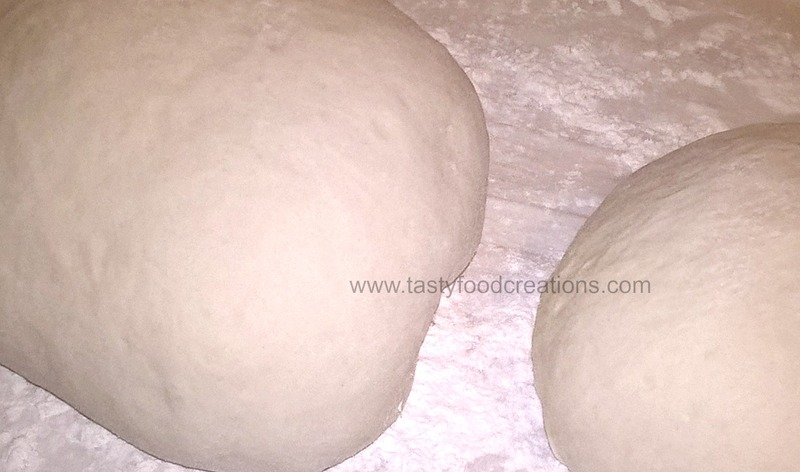 Once the dough forms into a ball, allow the mixer to knead for 5 minutes at medium-high. Dough should be a little sticky. Form the dough into a round and place in a lightly oiled bowl, turn it over to coat. Cover with plastic wrap or a damp towel and let it rise in a warm spot until doubled in size, about 1 hour. Once the dough has doubled, turn it out onto a lightly floured counter. 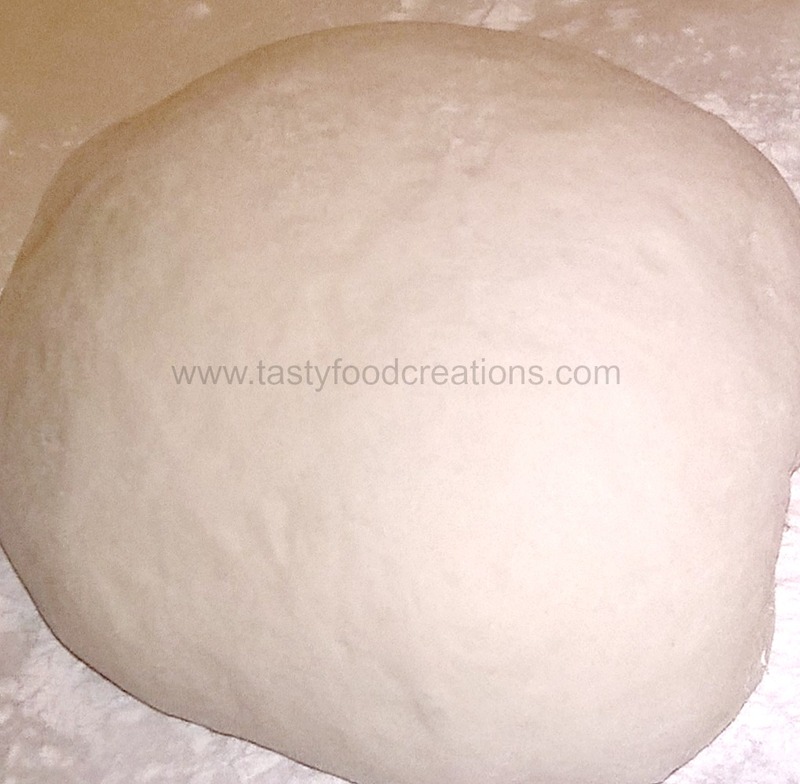 Roll and stretch the dough into a cylinder and divide into 2 equal pieces. Cover and let rest for 10 minutes so it will be easier to roll out. You can also refrigerate it or freeze it until needed. Enjoy!! !